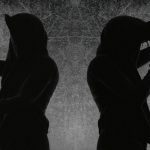 Background/Info: After having released the very successful debut album “Book Of The Black Earth”, Thomas Langewehr aka Ager Sonus strikes back with his second solo album. He again explores mystic fields related to Ancient Egypt. 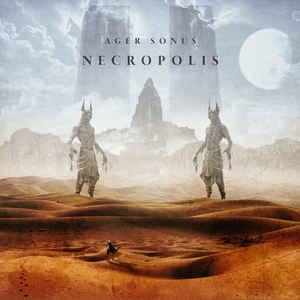 Content: I already enjoyed the debut album of Ager Sonus and “Necropolis” only confirms the potential of this artist. The opening cuts left me breathless for the powerful blasts and mysterious atmospheres supporting the tracks. You rapidly feel like entering a danger zone, which is simply created by icy sounds, iron noises, humming voices and vibrant sonic waves. “Necropolis” reflects a world of loneliness where the listener will have to face his fears. + + + : The opening cuts are absolutely brilliant. The icy atmospheres have been built up crescendo until you get the impression being imprisoned in a dense sonic web from which you can’t escape. Thomas Langewehr reveals himself as a truly sound alchemist who discovered the secrets of the ‘ancient’ artists in dark-ambient music. I’m not that surprised he claims to be inspired by artists such as Lustmord, Atrium Carceri ao. This work is not only about the dark atmospheres, but also about an intelligent and well-crafted composition achieved with numerous little details and manipulations you better can enjoy by using headphones. – – – : I’m really convinced by the great writing skills of this project so don’t ask me for minus points. The only little thing is that the best tracks and the truly climax of the album is the first part while the final part remains great, but without similar highlights. 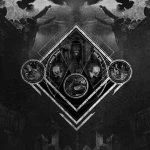 Conclusion: After the successful debut work, Ager Sonus has surpassed himself unleashing an outstanding piece of dark-ambient music. This is for sure one of the most talented newcomers in the genre from the past few years. Best songs: “Valley Of The Kings”, “Shards Of Umm El-Qaab”, “Abu Simbel”, “Deciphering Hieroglyphs”.